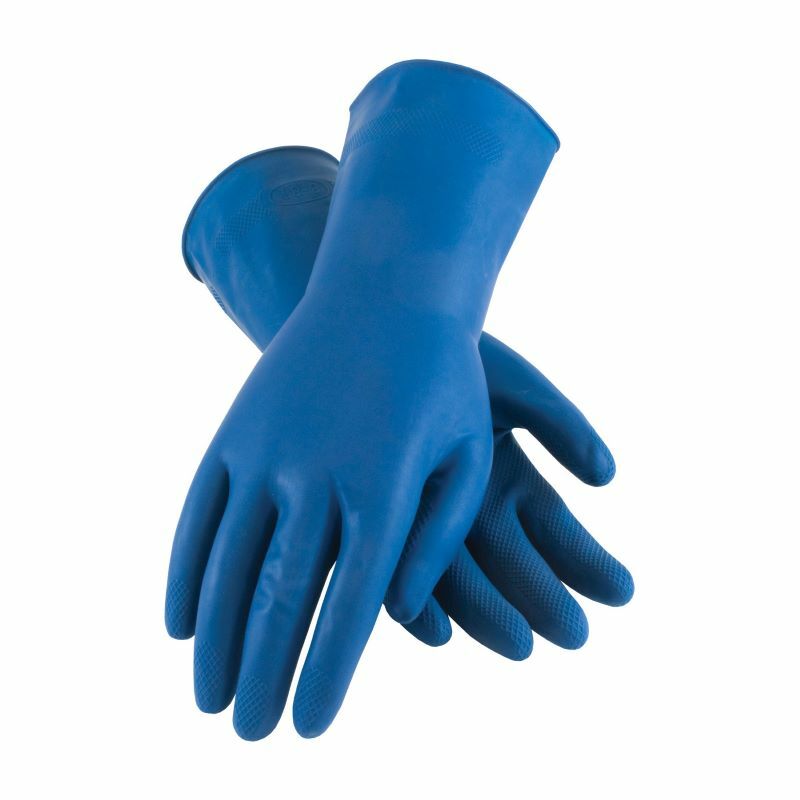 PIP 47-L171B Unsupported Latex Glove is a blue 18 mil. unlined glove with a raised diamond grip and a 12 inch length straight cuff. These are ideal for food processing and applications where shedding of flock lining is to be avoided.